Jesus Led Israel Out of Egypt? In a phone conversation with a friend today, we were discussing grammatical-historical methods of interpretation and how the NT writers simply did not appear to observe this modern system for interpretation (which claims, in my opinion, an overly “scientific” approach to Scripture that fails to grapple with the full complexities of language, inspiration, and later interpretations, but all that aside [if you want a glimpse at my own brief forays in my quest for better methods read HERE, HERE, and HERE]). Talk about a strange reading of the Exodus account! (Origen would be proud 😉 ). 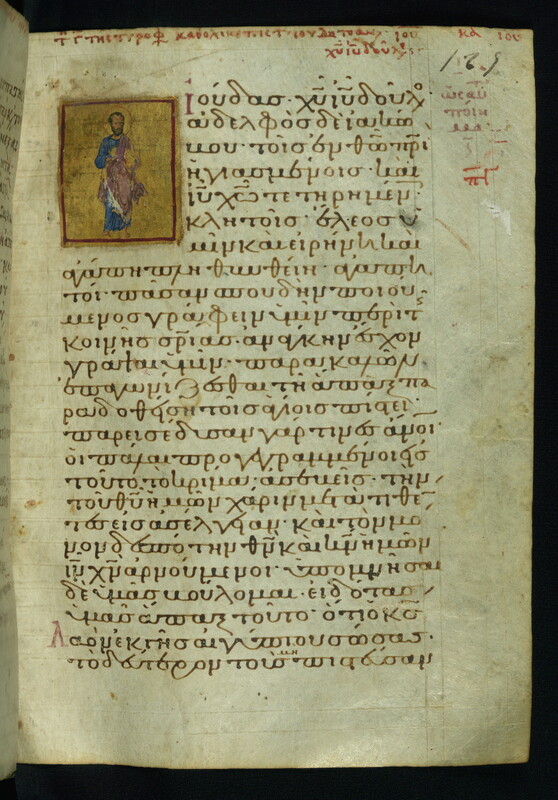 So I went to look it up in my NA27 and discovered an overwhelming manuscript support for the reading “Jesus” (A B 33. 81. 322. 323. 424c. 665. 1241. 1739. 1881. 2298. 2344. Vulgate, Coptic (Bohairic, Sahidic), Ethiopic. Origen, Cyril, Jerome, Bede; “the Jesus” 88. 915) over “[the] Lord” (K Maj.). * Not only is the textual support overwhelmingly in support of such a reading, but the probability is overwhelmingly in favor of an original “Jesus” being changed to “Lord” (rather than vice versa). Who would think of changing “Lord” to “Jesus”? It would seem to make things more defensible (for reading the OT as it was intended by its original human author) with reading “Lord” in light of the OT, but “Jesus” offers a sharply Christological reading of the Hebrew scriptures (which fits Jude’s overall agenda). Even Bruce Metzger’s A Textual Commentary on the Greek New Testament (ABS, 1994, p.657) has an extended bracketed discussion of this issue suggesting that the reading “Lord” really does not appear original in any sense. And yet, the UBS4 and NA27 texts maintained κύριος (“Lord”) in the main text. I don’t have access to NA28, but I would be curious to know if they’ve continued this strange tradition. To me, the most significant (and fascinating) thing I was reminded of in my searching through the evidence and the translations, was that it appears issues of congruity for English readers often drives translations against where the textual evidence may actually point (one of the reasons I quite like the NET for boldly trying to follow the original text closely…at least at times). So what are your thoughts on a variant like this and the need to translate what is considered the “best” (or most appropriate?) text? * To be fair there are a number of other lesser attested readings which are not supported well by either internal or external criteria. Author Rick WadholmPosted on February 19, 2013 Categories NET Bible, NIV, Scripture, translationTags bruce metzger, Greek, greek new testament, Jesus, Jude, Lord, New International Version, New Revised Standard Version, textual commentary on the greek new testament, translations3 Comments on Jesus Led Israel Out of Egypt?